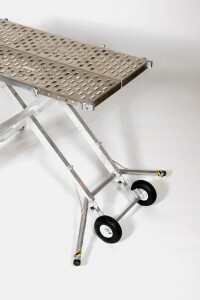 The 3 Step Pro 36” X-Deck Pro is 72 lbs and is certified to hold 4000 lbs. 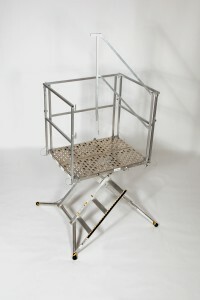 This model comes standard with a modular wrap around handrail. 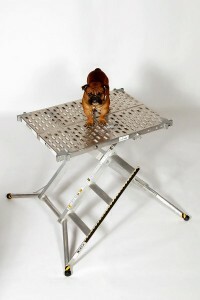 The deck is 48” x 36” and can adjust in height from 3’8” to 18”. 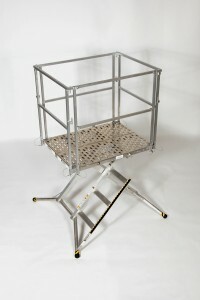 For productivity and safety choose to work off of an X-Deck Pro by SafeTec.